We are proud to be hosting our special guest, Cleveland native, and former Baltimore Raven, John Jones. 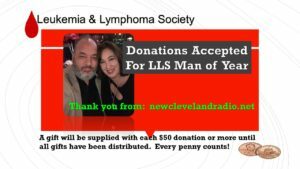 We will also support the Leukemia & Lymphoma Society Man of the Year Donations, Gary Wenner is our man, but our goal is to ELIMINATE CANCER so join us to celebrate L I F E.
A very special thank you to all our musician friends (http://newclevelandradio.net/entertainment-interviews/) for their gift donations. 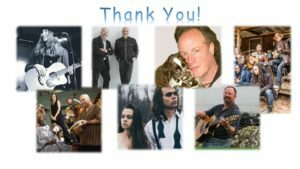 We also want to thank our sponsor INCA (https://incatea.com/) as well. If you come out tonight and donation $50 or more you will receive a gift (as long as they last). On air tonight are some of your favorites including the After Further Review Crew – Alex Hale & Pat Guzowskie. We welcome Pat from Shaker, Jaison Roberts and their buddies well. 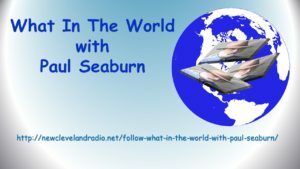 In addition to sports, as you want to hear it, Paul Seaburn from What in the World (http://newclevelandradio.net/follow-what-in-the-world-with-paul-seaburn/) will share the TRUE STORIES on sports! 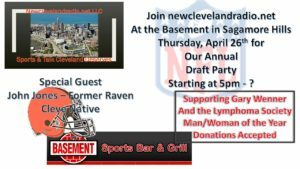 Come out and meet Gary Wenner, our supported candidate for Man of the Year for LLS.